Need help? Be sure to use "Leave A Message" chat to contact us with further questions or call 888-308-9714. We are currently getting our help section answers completed. How do I register for auction? How do I Consign to the Auction? You can just simply call us at 888-308-9714 or email us Sales@Memorabilia.Expert and let us know what you have. Feel free to use the contact form at the bottom of the page. We are always looking for Game-Used Jerseys, Autographs, Entertainment and Political collectibles. Our buyers premium is a standard 20%. 20% + the high bid. Shipping will be added onto that total. Do sale items have a buyers premium? What is the 15 minute rule and when does the auction end? The auction does not close PER ITEM, but rather only closes when there has been no activity for the ENTIRE auction for 10 minutes. An auction starts and will close on the dates specified on BIDAMI’s home page. However, BIDAMI follows the 10-minute rule. This rule means that the auction can continue for verified bidders that have bid on any particular lot prior to the 8:00 p.m. close. The auction does not close PER ITEM, but rather only closes when there has been no activity for the ENTIRE auction for 10 minutes. So it is possible for an item to sit for over 10 minutes without a bid as long as there is other activity in the auction, that item will remain open. The auction has ended when BIDAMI’s web site indicate BidAmi.com auction is closed. The time will expire warning that the auction will be ending. Announcements of the 10 Minute Rule and the auction slowing down and getting ready to close. How do I pay for my auction items? As a successful bidder you want to get your items shipped out as quickly as possible. We have a new easy checkout process. Within the email you can click on the "Payment" link and it will automatically "Add" your item to your cart. If you have multiple items, you would click on EACH email "Payment" link separately to add every item to your cart. Can I return my item if another authenticator turns it down? We always make an effort to offer Customer Service to our clients. Items are sold with the Letter of Authenticity as described in the listing. Items will not be refunded due to differing opinions of other companies, people, industry people, Authenticators and Authentication opinions. 100% Guarantee. We will issue refunds on items that have been legally (established or recognized by law) found to be fraudulent, or unauthentic. We always make an effort to offer Customer Service to our clients. Items are sold with the Letter of Authenticity as described and items will not be refunded due to differing opinions of other companies, people, industry people, Authenticators and Authentication opinions. If you are uncomfortable with the authentication listed on an item do not purchase the item. How do I consign my memorabilia? How do I get my items authenticated? Can I get my game used jersey authenticated? How can I get my autographs authenticated? 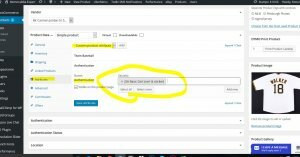 To get your item authenticated by JSA you need to ADD Product. Seller Dashboard-Where Do I Add Authentication? 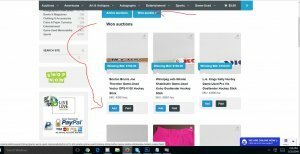 Seller Dashboard-How Do I list my item as an Auction? Once in the"Edit Product" or "Add Product" page, under "Product Date" dropdown, you will see the choice for Simple Product. You need to choose "Auction". Seller Dashboard-Where Do I add my featured image and the gallery of images for my product? Seller Dashboard-How do I list my item as a store product? How do I relist my items for auction? How do the view counts get calculated? View counts get calculated once every 12 hour for a single user. Cache conflicts can cause view post calculations discrepancies. So 1 count per user, on an item within a 12 hour period. Ready to get buy or sell? Register now. If you are ready to purchase or if you need to sell any collectibles then start by getting registered.